Hi there, my darlings! On this Black Friday, I would like to share a unique, rather out-of-the-box gift idea...but a gift idea that may be welcome and absolutely necessary for some of you out there. A couple of years ago, I was introduced to a condition called Hyperhidrosis, aka excessive sweating, while working with an innovative brand. 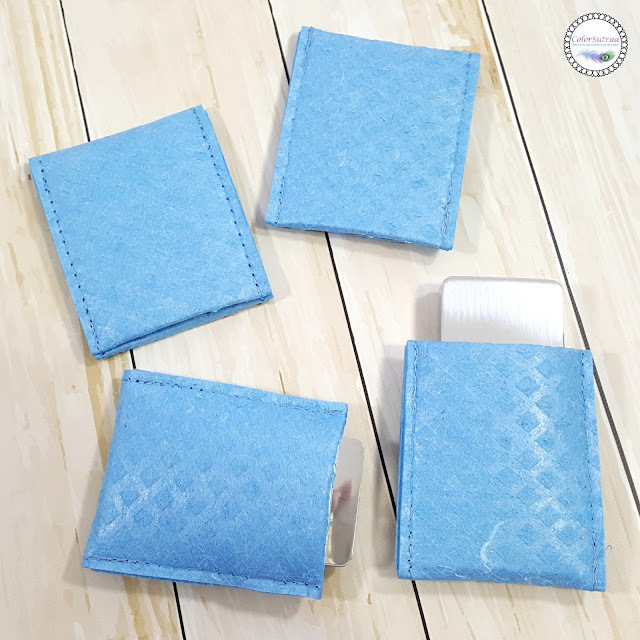 From the response to that particular post, that brand's innovative, at-home solution for excessive sweating, particularly of the hands and feet, was pretty revolutionary. I mean, having been born in a tropical country where the temperatures reach near-intolerable heights, I can only imagine just how uncomfortable this condition must be. Just imagine being uncomfortable with relatively mundane things like shaking hands or taking your shoes off (as is customary in many Asian homes) before you enter a friend's house. Sweaty hands/feet in the heat often means dealing with embarrassing odor and discomfort. Even in colder climates, can you imagine having to deal with a cold sweat which all but freezes on your body, even at the best of times? I can't and this is where the technique known as Iontophoresis can really help (more on that below). But at the time of that previous post, the brand's device only worked for hands or feet and I was left wondering, why not the most obvious area of sweat production? You guessed it, THE PITS! Excessively perspiring pits can all but ruin that first interview or that first date! 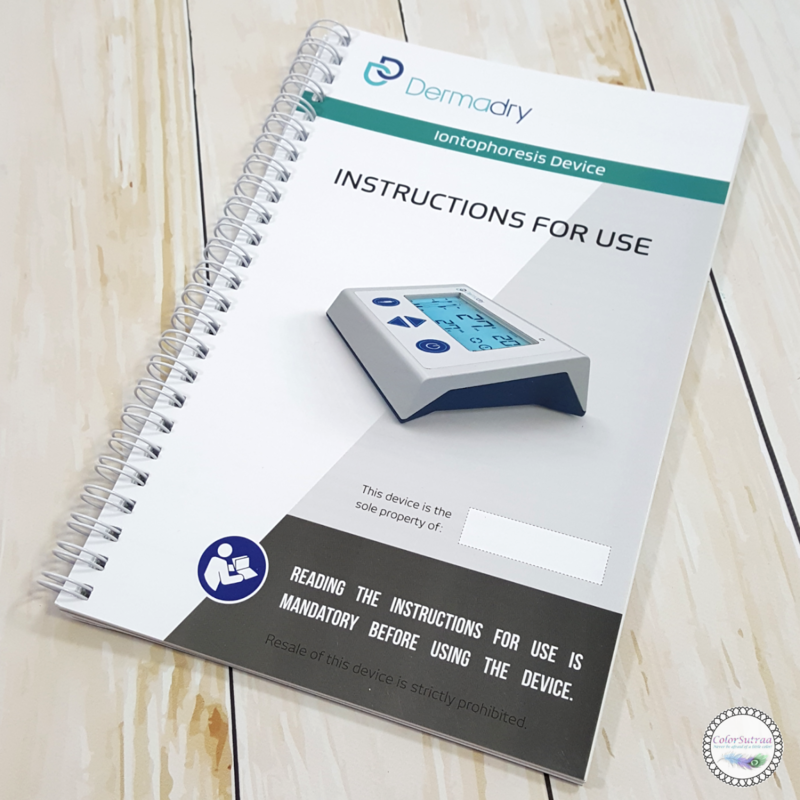 Enter Dermadry Total, which can be used for hands, feet AND armpits, all from the comfort of your own home. Hyperhidrosis, or excessive sweating, is a common disorder which produces a lot of unhappiness. An estimated 2%-3% of Americans suffer from excessive sweating of the underarms (axillary hyperhidrosis) or of the palms and soles of the feet (palmoplantar hyperhidrosis). Underarm problems tend to start in late adolescence, while palm and sole sweating often begins earlier, around age 13 (on the average). Untreated, these problems may continue throughout life. Iontophoresis was introduced over 50 years ago as a treatment for excessive sweating. Its exact mechanism of action is still unclear, although it probably works by temporarily blocking the sweat duct. 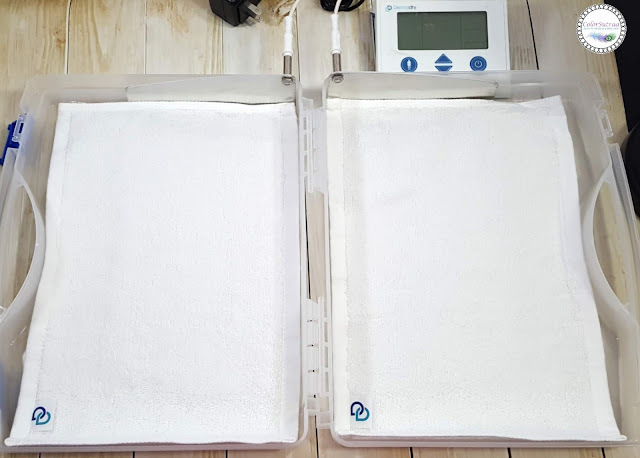 The procedure uses water to conduct an electric current to the skin a few times each week, for about 10-20 minutes per session, followed by a maintenance program of treatments at 1- to 3-week intervals, depending on the patient's response. 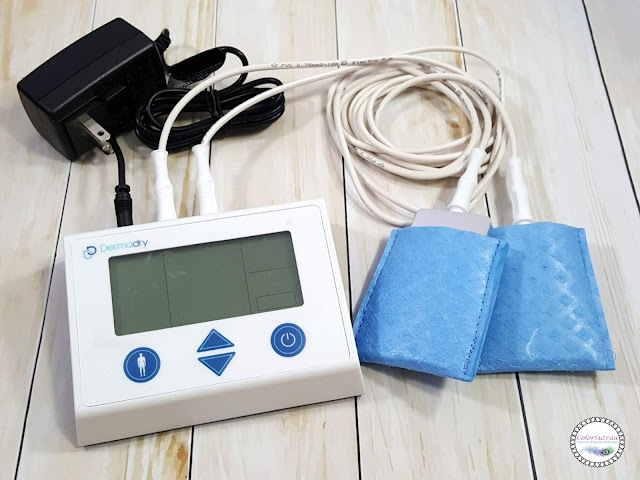 Iontophoresis treatments are not painful. 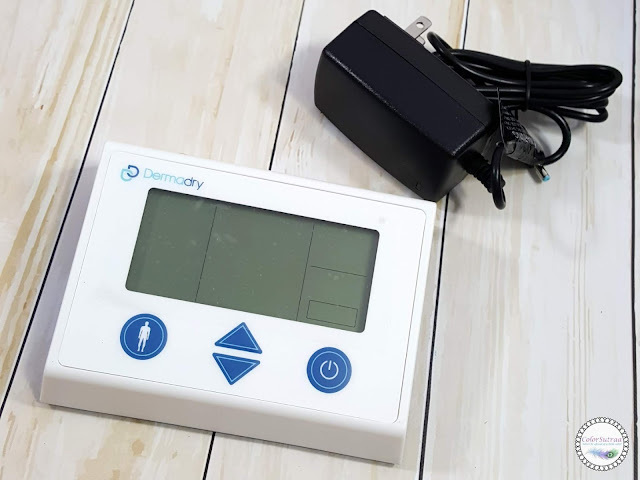 Dermadry is a tap water iontophoresis device. This solution works by directing a small current through the skin, thus neutralizing the connections between the sweat nerves and sweat glands. For the vast majority of cases, this treatment drastically reduces excessive sweating. Studies have shown that tap-water iontophoresis devices such as Dermadry are extremely effective in the treatment of excessive sweating. 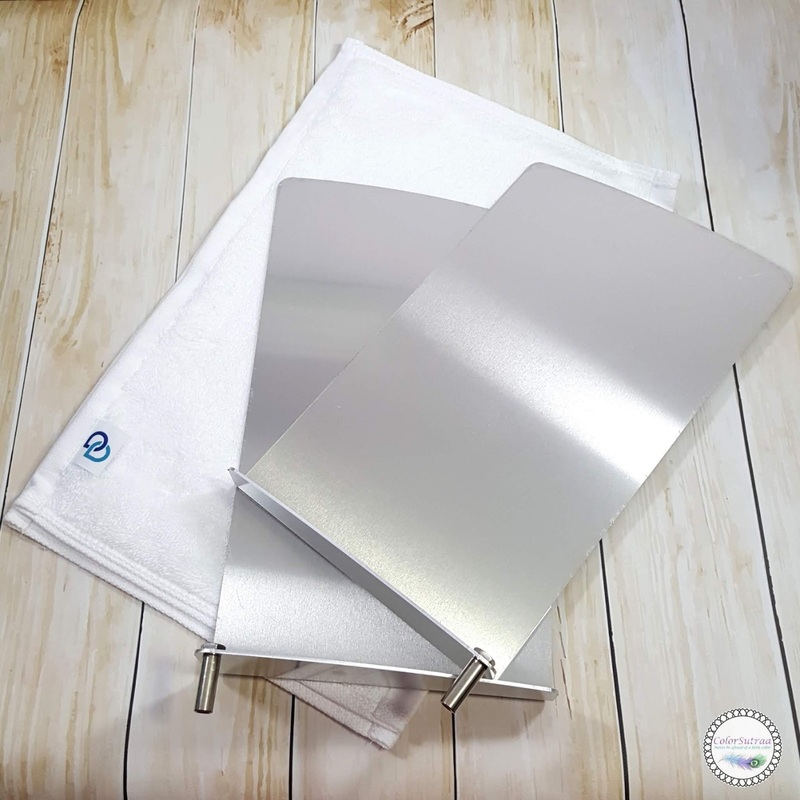 These studies report that the success rates of these devices can reach 93%1, 98.5%2 and even 100%3 of people treated for hyperhidrosis. Setting up the device at home is fairly easy process. The Total is built to treat hands, feet OR armpits and your set up will be a little different based on which area you are planning to treat at that moment. Your main components are all in the travel-friendly, surprisingly light carry case, which doubles as your treatment trays, but nonetheless, the instruction guide (shown below), written in both English and French, should be your new best friend! Easy, safe, surprisingly travel-friendly and a much more affordable alternative to surgery, Dermadry brings you the opportunity to finally get rid of the discomfort of hyperhidrosis, all from the comfort and privacy of your own home! As with any at-home treatment, it's important to be aware of any potential side effects and contraindications, all of which have been detailed on the site HERE. So there you have it, my darlings! 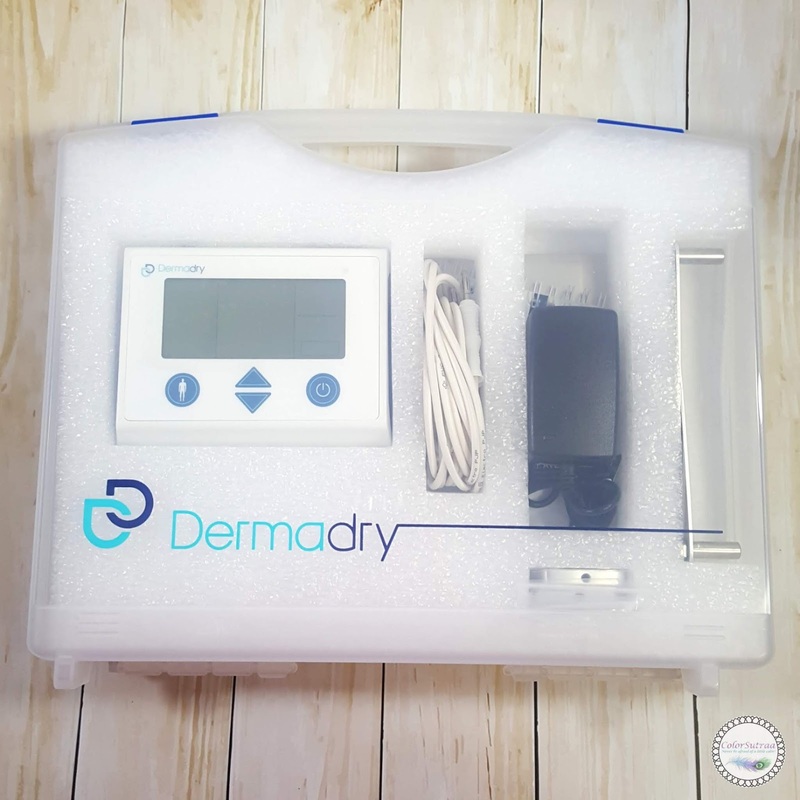 If you or a loved one suffers from hyperhidrosis and would like to try the Dermadry Total device, you can find it on Dermadry's HERE for the price of $349--worldwide shipping is available! You can use code COLORSUTRAA10 for 10% off your total order! Do you or a loved one suffer from hyperhidrosis? Would you be open to trying this device? Tell me in the comments section below! This sounds very helpful for someone with hyperhidrosis. What an excellent device. I'm sure that there is so much need for it. How does this compare to in-clinic treatments like Miradry? How many sessions before one can see improvement? Wow! I didn’t know there was a treatment for that condition, let alone an at home treatment! Really awesome! BOXYCHARM for October 2018: ALTER EGO!